Just as many other technological advancements, Artificial Intelligence came to our lives from the pages of fairy tales and fiction books (think of the Tinman from The Wizard of Oz or Maria from Metropolis). People dreamt about machines able to solve problems and release some of the fast-compounding pressure of the 21st century. Less than 70 years from the day when the very term Artificial Intelligence came into existence, it’s become an integral part of the most demanding and fast-paced industries. Forward-thinking executive managers and business owners actively explore new AI use in finance and other areas to get a competitive edge on the market. More often than not, we don’t realize how much Artificial Intelligence is involved in our day-to-day life. For example, in the traveling industry, Artificial Intelligence helps to optimize sales and price, as well as prevent fraudulent transactions. Also, AI makes it possible to provide personalized suggestions for desired dates, routes, and costs, when we are surfing airplane or hotel booking sites planning our next summer vacation. In the transportation industry, AI is actively employed in the development of self-parking and advanced cruise control features, called to make driving easier and safer. Experts believe that the biggest breakthrough here is around the corner – autonomous vehicles, or self-driving cars, are already appearing on the roads. Another bright example of using AI is education where open online courses (MOOC) such as Coursera or Lynda become more and more popular each year. Those have become possible with the rise of Artificial Intelligence in education. Automatic grading made self-taught online courses available for anyone with Internet access – a pivotal point for so many lives and careers. Artificial Intelligence saves lives, and this is not a figure of speech. From robotic surgeries to virtual nursing assistants and patient monitoring, doctors employ AI to provide their patients with the best care. Image analysis and various administrative tasks, such as filing, and charting are helping to reduce the cost of expensive human labor and allows medical personnel to spend more time with the patients. The rise of AI in the financial industry proves how quickly it’s changing the business landscape even in traditionally conservative areas. Here are just some of the most popular examples of AI in finance. Artificial Intelligence provides a faster, more accurate assessment of a potential borrower, at less cost, and accounts for a wider variety of factors, which leads to a better-informed, data-backed decision. Credit scoring provided by AI is based on more complex and sophisticated rules compared to those used in traditional credit scoring systems. It helps lenders distinguish between high default risk applicants and those who are credit-worthy but lack an extensive credit history. Objectivity is another benefit of the AI-powered mechanism. Unlike a human being, a machine is not likely to be biased. Digital banks and loan-issuing apps use machine learning algorithms to use alternative data (e.g., smartphone data) to evaluate loan eligibility and provide personalized options. 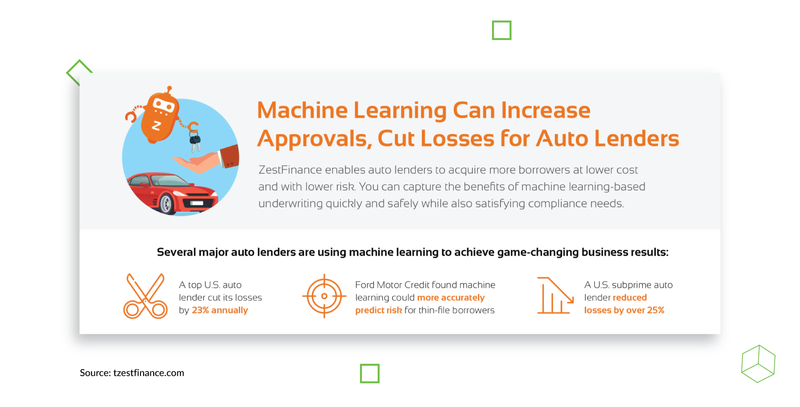 Automobile lending companies in the U.S. have reported success with AI for their needs as well. For example, this report shows that bringing AI on board cut losses by 23% annually. It’s difficult to overestimate the impact of AI in financial services when it comes to risk management. Enormous processing power allows vast amounts of data to be handled in a short time, and cognitive computing helps to manage both structured and unstructured data, a task that would take far too much time for a human to do. Algorithms analyze the history of risk cases and identify early signs of potential future issues. Artificial intelligence in finance is a powerful ally when it comes to analyzing real-time activities in any given market or environment; the accurate predictions and detailed forecasts it provides are based on multiple variables and vital to business planning. A US leasing company, Crest Financial, employed artificial intelligence on the Amazon Web Services platform and immediately saw a significant improvement in risk analysis, without the deployment delays associated with traditional data science methods. For a number of years now, artificial intelligence has been very successful in battling financial fraud – and the future is looking brighter every year, as machine learning is catching up with the criminals. AI is especially effective at preventing credit card fraud, which has been growing exponentially in recent years due to the increase of e-commerce and online transactions. Fraud detection systems analyze clients’ behavior, location, and buying habits and trigger a security mechanism when something seems out of order and contradicts the established spending pattern. Banks also employ artificial intelligence to reveal and prevent another infamous type of financial crime: money laundering. Machines recognize suspicious activity and help to cut the costs of investigating the alleged money-laundering schemes. 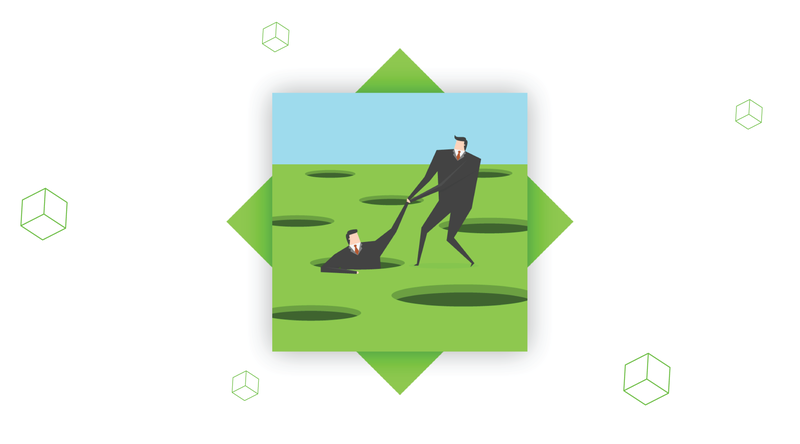 One Case study reported a 20% reduction in the investigative workload. Aggregators like Plaid (which works with financial giants like CITI, Goldman Sachs and American Express) take pride in their fraud-detection capabilities. 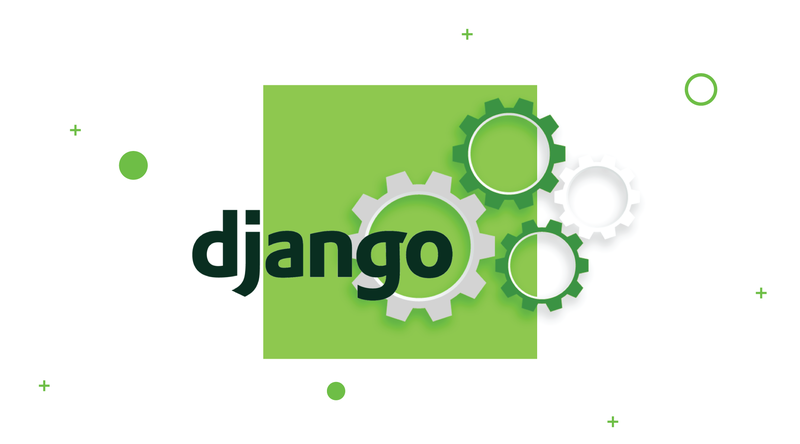 Its complex algorithms can analyze interactions under different conditions and variables and build multiple unique patterns that are updated in real time. 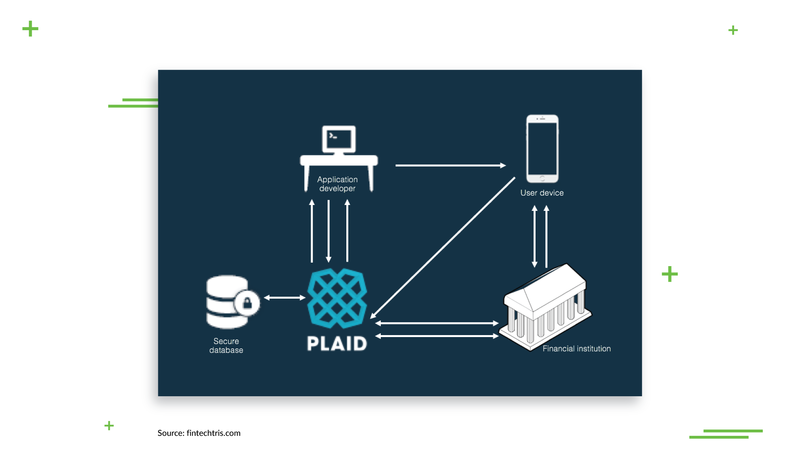 Plaid works as a widget that connects a bank with the client’s app to ensure secure financial transactions. Data-driven investments have been rising steadily over the last 5 years and closed in on a trillion dollars in 2018. It’s also called algorithmic, quantitative or high-frequency trading. This kind of trading has been expanding rapidly across the world’s stock markets, and for good reason: artificial intelligence offers multiple significant benefits. Intelligent Trading Systems monitor both structured (databases, spreadsheets, etc.) and unstructured (social media, news, etc.) data in a fraction of the time it would take for people to process it. And nowhere is the saying “time is money” truer than in trading: faster processing means faster decisions, which in turn mean faster transactions. The predictions for stock performance are more accurate, due to the fact that algorithms can test trading systems based on past data and bring the validation process to a whole new level before pushing it live. AI puts together recommendations for the strongest portfolios depending on a specific investor’s short- and long-term goals; multiple financial institutions also trust AI to manage their entire portfolios. The business news outlet, Bloomberg, recently launched Alpaca Forecast AI Prediction Matrix, a price-forecasting application for investors powered by AI. 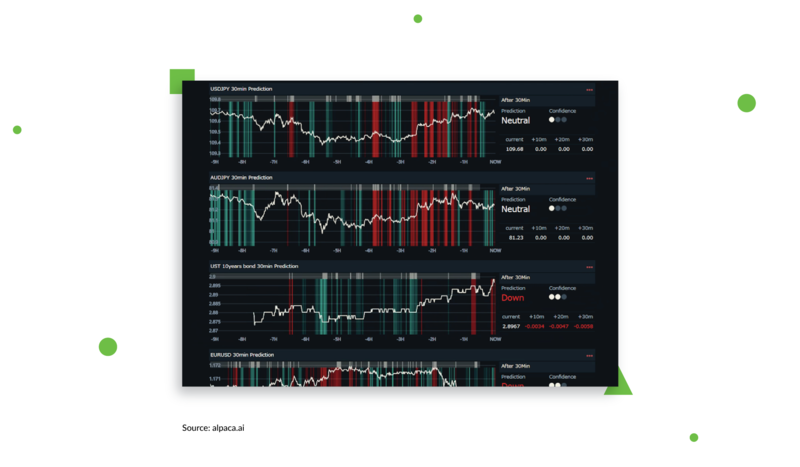 It combines real-time market data provided by Bloomberg with an advanced learning engine to identify patterns in price movements for high-accuracy market predictions. Artificial intelligence truly shines when it comes to exploring new ways to provide additional benefits and comfort to individual users. In the banking sector, AI powers the smart chatbots that provide clients with comprehensive self-help solutions while reducing the call-centers’ workload. Voice-controlled virtual assistants powered by smart tech like Amazon’s Alexa are also gaining traction fast, which is no surprise: boasting a self-education feature, they get smarter every day, so you should expect tremendous improvements here. 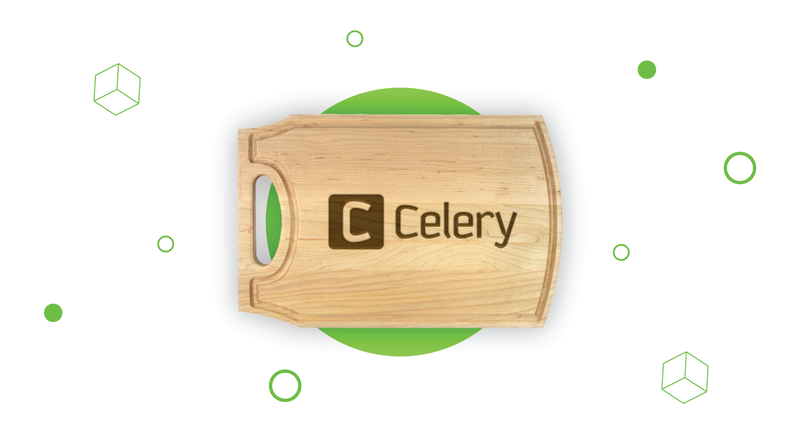 Both tools can check balances, schedule payments, look up account activity and more. A number of apps offer personalized financial advice and help individuals achieve their financial goals. These intelligent systems track income, essential recurring expenses, and spending habits and come up with an optimized plan and financial tips. The biggest US banks, such as Wells Fargo, Bank of America and Chase, have launched mobile banking apps that provide clients with reminders to pay bills, plan their expenses and interact with their bank in an easier and more streamlined way, from getting information to completing transactions. Forward-thinking industry leaders look to robotic process automation when they want to cut operational costs and boost productivity. Intelligent character recognition makes it possible to automate a variety of mundane, time-consuming tasks that used to take thousands of work hours and inflate payrolls. Artificial intelligence-enabled software verifies data and generates reports according to the given parameters, reviews documents, and extracts information from forms (applications, agreements, etc.). Employing robotic process automation for high-frequency repetitive tasks eliminates the room for human error and allows a financial institution to refocus workforce efforts on processes that require human involvement. Ernst & Young has reported a 50%-70% cost reduction for these kinds of tasks, and Forbes calls it a “Gateway Drug To Digital Transformation”. A leading financial firm, JP Morgan Chase, has been successfully leveraging Robotic Process Automation (RPA) for a while now to perform tasks such as extracting data, comply with Know Your Customer regulations, and capture documents. RPA is one of ‘five emerging technologies‘ JP Morgan Chase uses to enhance the cash management process. Predictions for the soon-to-come AI applications in financial services is a hot topic these days but one thing is for sure: AI is rapidly reshaping the business landscape of the financial industry. There are high hopes for increased transactional and account security, especially as the adoption of blockchains and cryptocurrency expands. In turn, this might drastically reduce or eliminate transaction fees due to the lack of an intermediary. All kinds of digital assistants and apps will continue to perfect themselves thanks to cognitive computing. 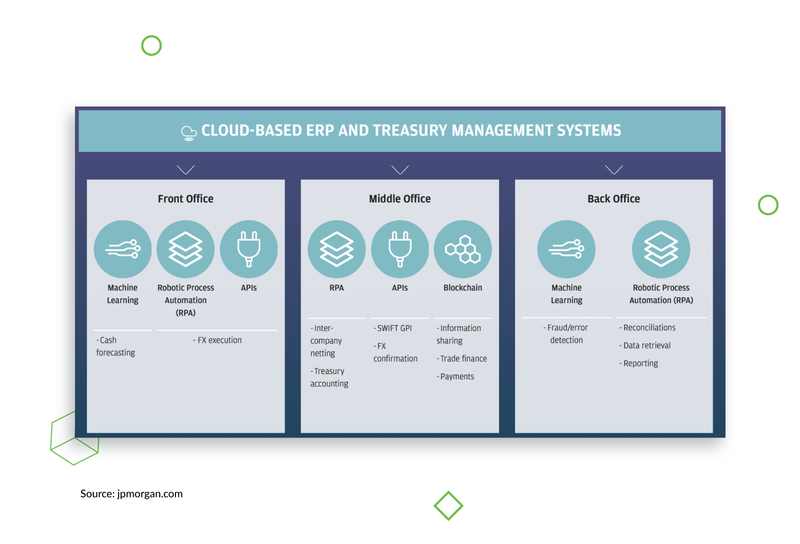 This will make managing personal finances exponentially easier, since the smart machines will be able to plan and execute short- and long-term tasks, from paying bills to preparing tax filings. We can also expect to see better customer care that uses sophisticated self-help VR systems, as natural-language processing advances and learns more from the expanding data pool of past experience. A new level of transparency will stem from more comprehensive and accurate know-your-client reporting and more thorough due-diligence checks, which now would be taking too many human work hours. As we can see, the benefits of AI in financial services are multiple and hard to ignore. 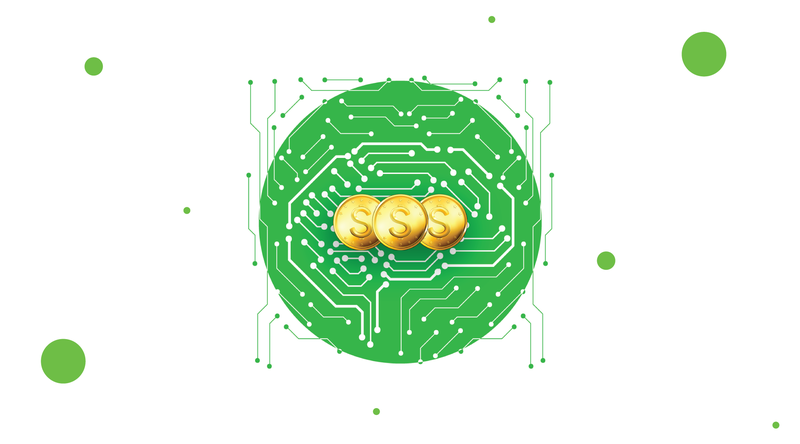 According to Forbes, 65% of senior financial management expects positive changes from the use of AI in financial services. This said, as of late 2018, only a third of companies have taken steps to implement artificial intelligence into their company processes. Many still err on the side of caution, fearing the time and expense such an undertaking will require –, and there will be challenges to implementing AI in financial services. However, one can’t shy away forever from technological progress and not facing it now may cost more in the long run.